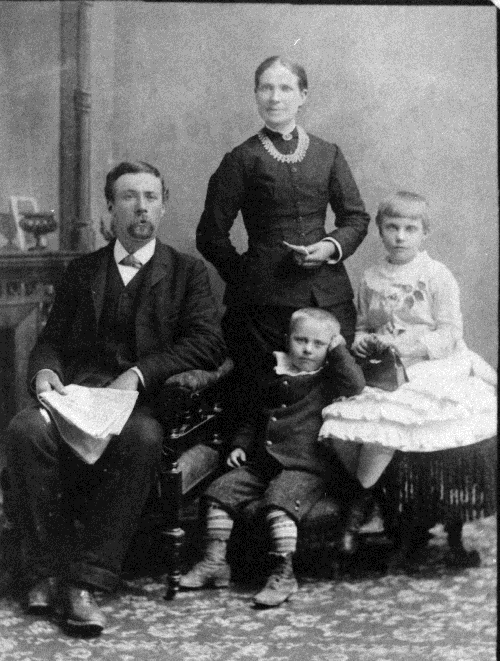 Studio portrait of John and Mary Laity and their children circa 1890. In 1879, John Laity and William Hampton came up river from New Westminster to Maple Ridge by boat to have a look at some land they had heard about in the Royal City. Laity purchased 160 acres from John Hammond, and Hampton took land nearby. One hundred and thirty-five years later both families are still living on those homesteads. Born in Penzance, Cornwall, England, John Laity came to the United States in 1873 to settle the estate of an uncle who had been killed in the mines in Colorado. Five years later, he sent back home for the girl he had left behind, Mary Jane Pope, who joined him. They were married November 2nd, 1878. Later his parents, Honor and Thomas Laity, also came to Colorado and shortly thereafter he and Hampton came to B.C. The land he purchased from John Hammond was uncleared, with only a trail to the river, which later became Laity Road. It changed to 3rd Avenue in 1930 and was then renamed Laity Street in 1970. After they built their own home, they built another for his parents, though his father was not often home. 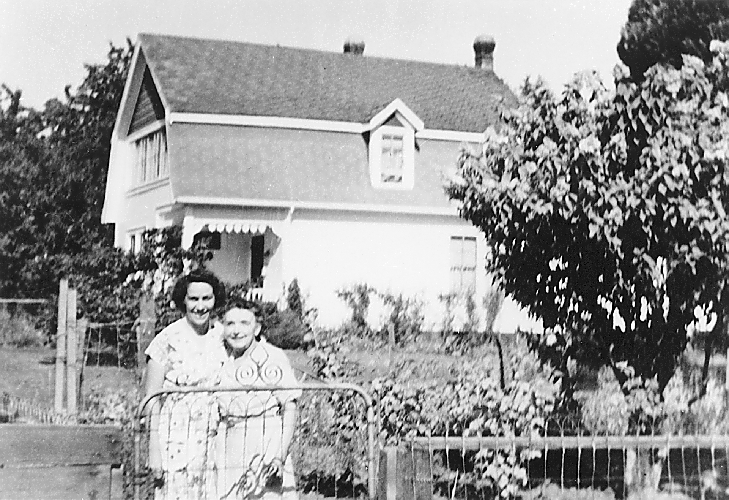 Mary and Jesse Laity standing by the front gate of the Laity home in the 1930’s. 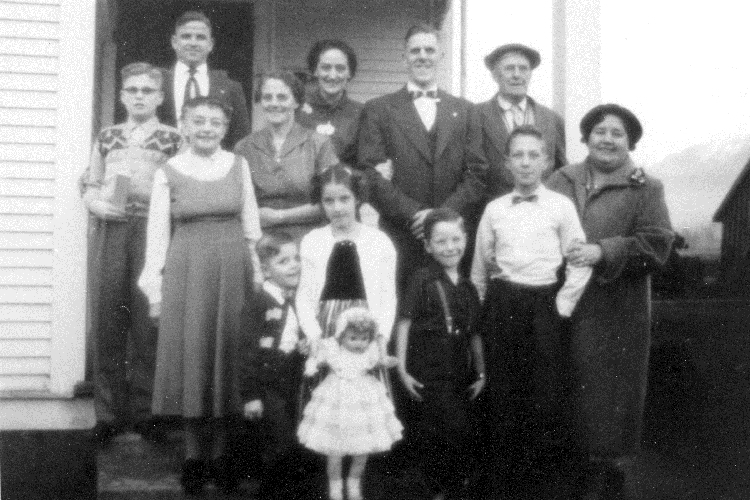 Eight children were born to John and Mary Jane, three dying in infancy, a daughter at age 20 and a son in France in 1917. Three remaining children were all married in 1913, Raymond to Annie McNaughton, Algernon to Jessie James, and Evelyn to Albert Porter. After the death of his first wife, Annie, Raymond married Irene Foster. Mrs. Laity’s brother Edmund Pope also found his way to Port Hammond and lived with his wife and family in a small house on the Laity property. He later served several years as a constable in Maple Ridge. Mrs. Laity died in 1927 and her husband in 1928. Christmas 1956 gathering of the Laity clan. All seen are Laity’s by birth or marriage. Algernon Laity’s great grandson, Matthew Laity, currently runs the farm, and Heather Laity runs the pumpkin patch off 132nd Avenue. It is uniquefor our district that these farms are still working at what they were working at over 100 years ago and still have successor generations ready to carry on.